Several storms were reported with storms rapidly developing near Lithgow initially and also east of Mudgee a little later. There were likely two supercells out of this region. The Lithgow cell had an interesting base – this nice image of a base circulation and dimple of a funnel almost overhead. This coincided with a wind change in the near storm environmental boundary. 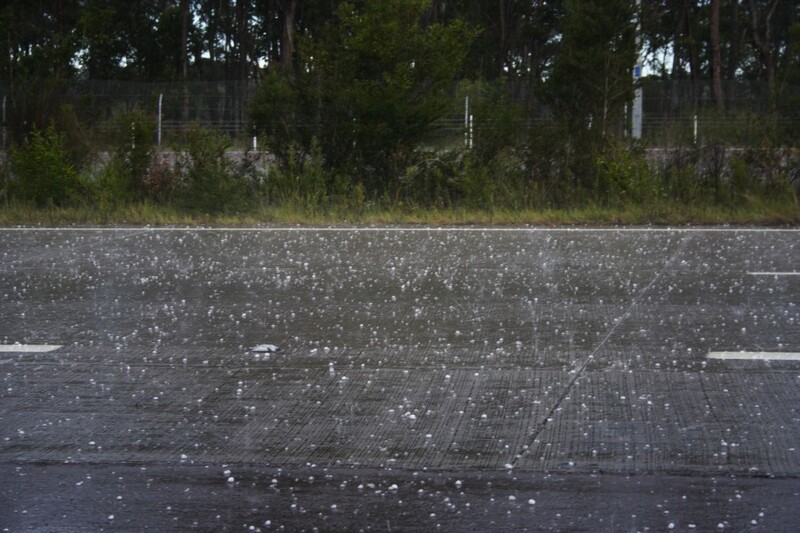 This storm eventually moved towards but narrowly bypassed Singleton with very large hailstones. 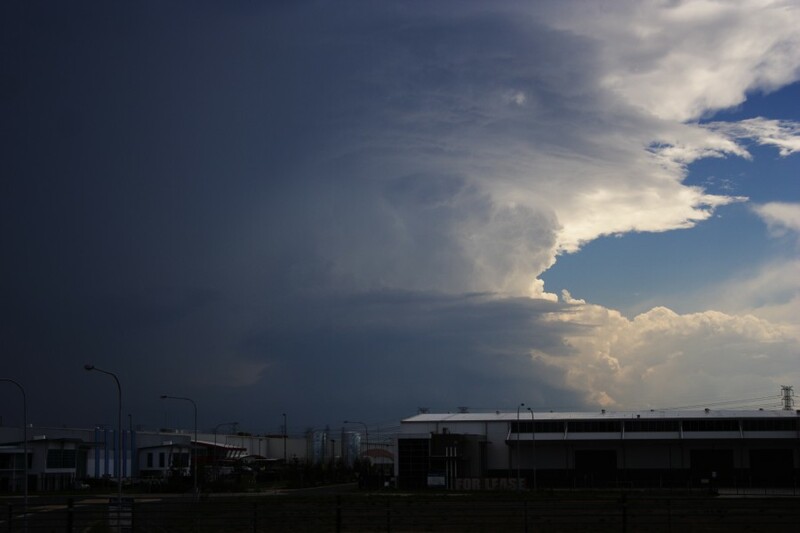 Another severe storm passed in the hinterland west of Muswellbrook – both this and the Singleton storm were likely supercells producing very large hailstones.